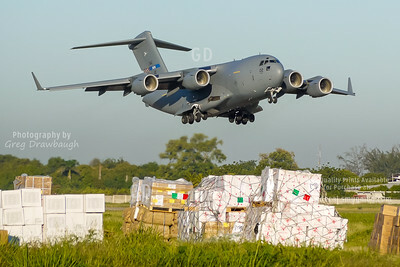 With piles of emergency aid in the foreground, NATO C-17 02 departs from Port-au-Prince, Haiti during the 2010 airlift after the devastating earthquake. 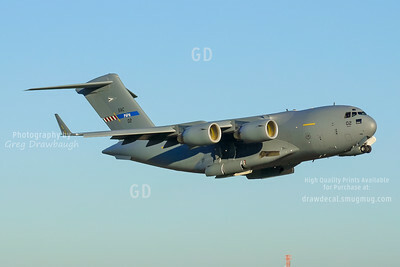 NATO C-17 02 departs from Port-au-Prince, Haiti during the 2010 airlift after the devastating earthquake. 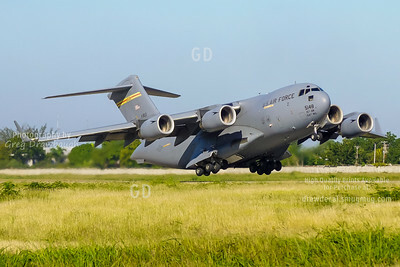 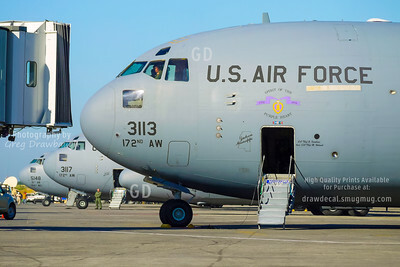 Three C-17s, two from the 172nd Airlift Wing, Mississippi Air National Guard bring supplies into Haiti during the 2010 Haiti airlift after the devastating earthquake a few days prior. 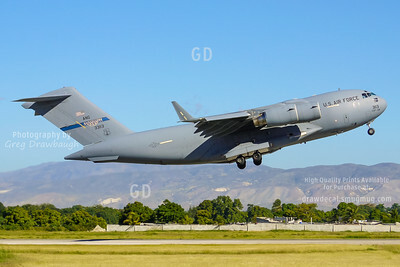 A long way from paradise, Hickam-based C-17 55148 departs from Port-au-Prince, Haiti after delivering supplies to Haiti during the 2010 airlift. 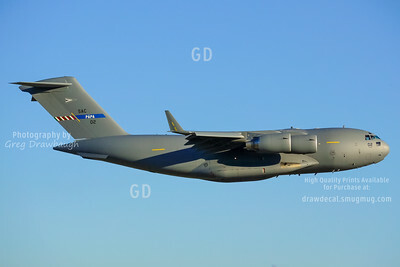 C-17 33113 from the 172nd Airlift Wing, Mississippi Air National Guard departs from Port-au-Prince, Haiti after bringing in supplies during the 2010 Haiti airlift after the devastating earthquake a few days prior.